Model sizes without armrest: total height 83cm, seat height 47cm, width 49cm, depth 51cm, weight 3,8kg. Model sizes with armrest: total height 83cm, seat height 47cm, armrest height 67cm, width 57cm, depth 51cm, weight 4,4kg. Natural Chloè Mon Amour, is a comfortable chair for indoor use. Available in two variants, with or without armrests, is a model with essential but elegant shapes, with a classic and refined look. Natural Chloè Mon Amour thanks to its design, integrates perfectly into any interior design project, turning every environment with a touch of class. Ideal both in the domestic sphere than in the contract sector. 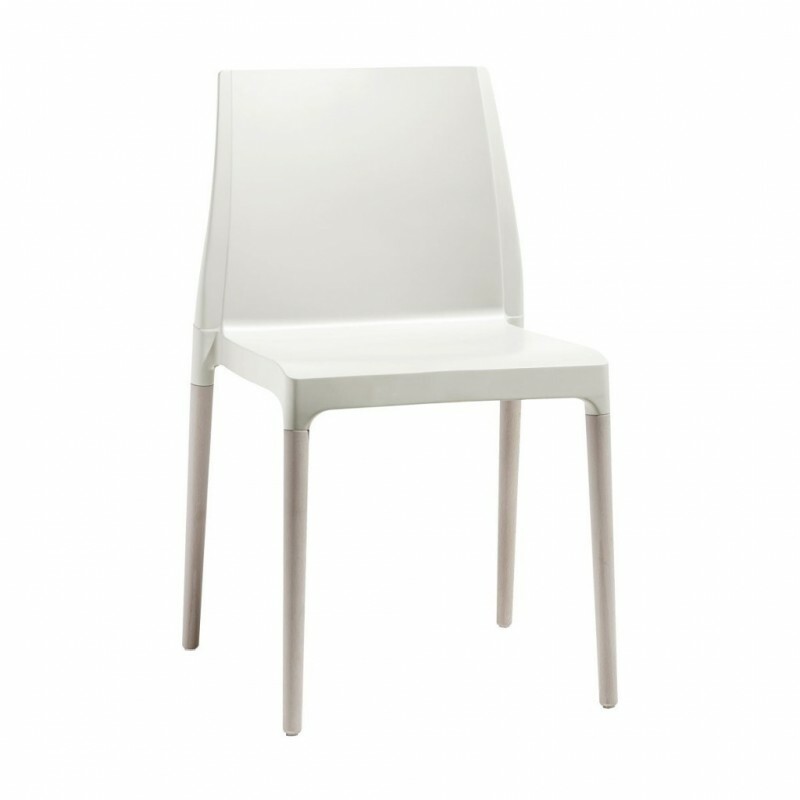 Material: legs in bleached beech and body in recyclable technopolymer, reinforced with fiberglass.